Have I mentioned yet one of my latest obsessions? It just happens to be edible confetti. 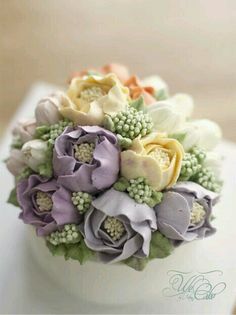 There’s just so much to love about this sweet little confection with colors reminiscent of a bright Springy day. The perfect party and treat decor and I’ve recently discovered that it’s also quite versatile. Yes, it looks lovely on treats, and cake stands, and as filler, but how else can it be used? 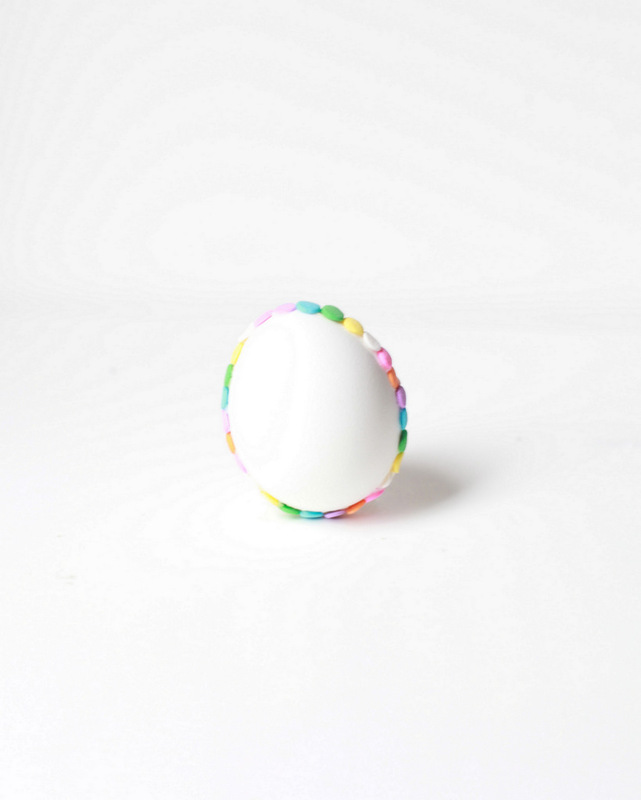 I put some ideas to the test the other day and turns out that these cute little confetti rounds transform into fun little embelli’s for easter egg decorating. 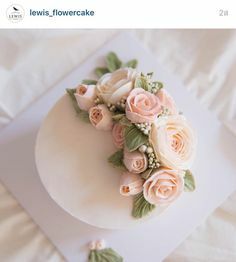 A modern twist on the classic, that can be used for place settings, party centerpieces and decoration around the home on Easter Sunday. All you need is a little creativity and a few simple supplies to give them a try! 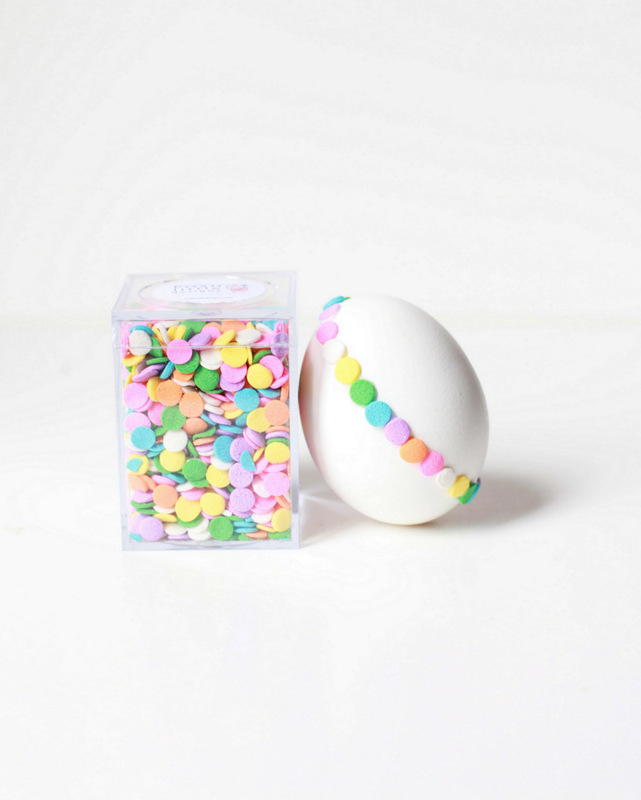 1-2 ounces of pastel edible confetti. 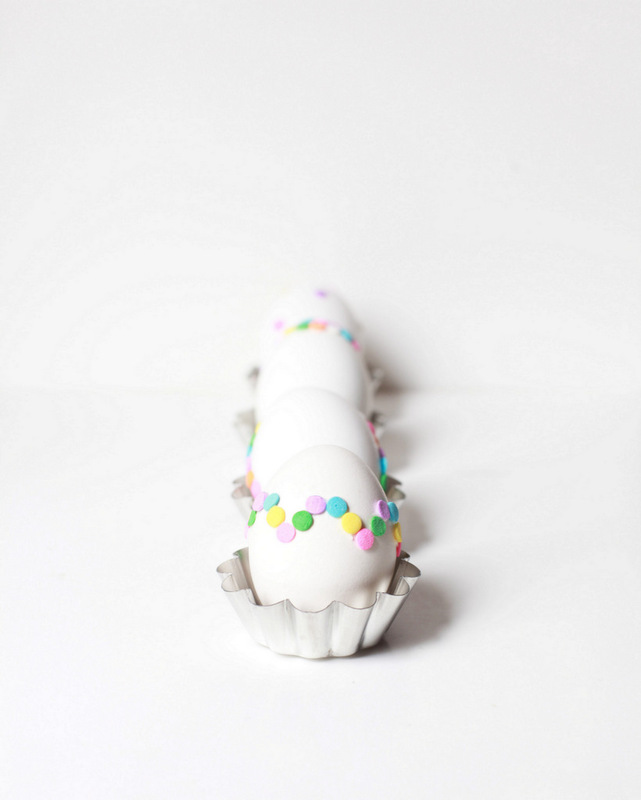 Available in my Etsy shop and at baking supply stores. 4-6 eggs, boiled, cooled and patted dry. 1/2 to 1 tsp of water. Boil, your eggs for 12 minutes, then run under cold water to cool. You’ll want your eggs completely chilled for this DIY so if they’re still warm, be sure to place them in the fridge until they’re fridge temperature. 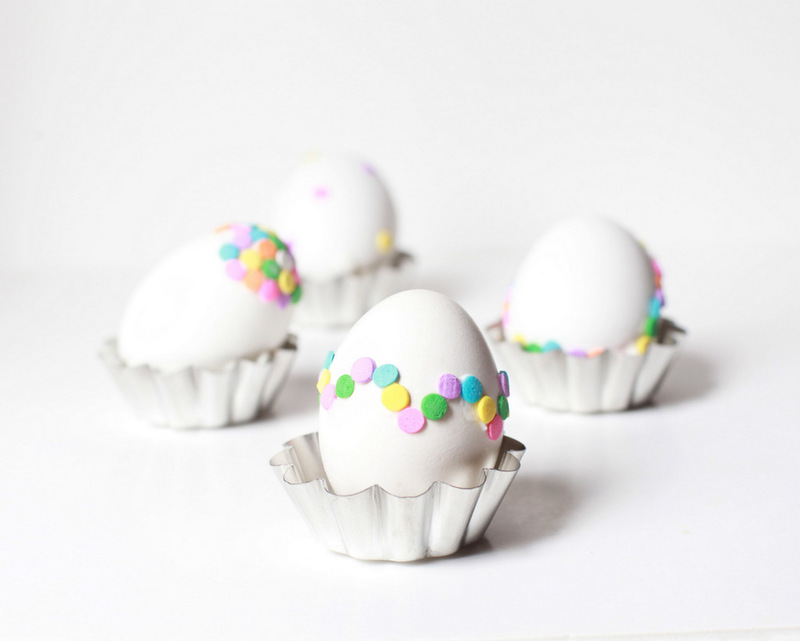 Once chilled, wipe off any moisture from your chilled eggs using a dry paper towel and set aside. Combine powdered sugar and water in a dish and stir until thick paste forms. It should be around the same consistency as glue. If the mixture seems too runny, stir in a bit more powdered sugar. 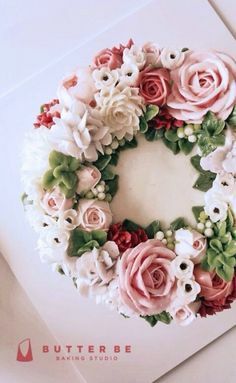 You also have the option of using glue for this DIY however, the sugar-water mixture dries hard and is very forgiving so if you make a decorative mistake, you can easily remove it with a damp cloth and start over. This product also dries quite quickly so you’ll want to work quickly and stir often. Place pastel confetti in a shallow dish. 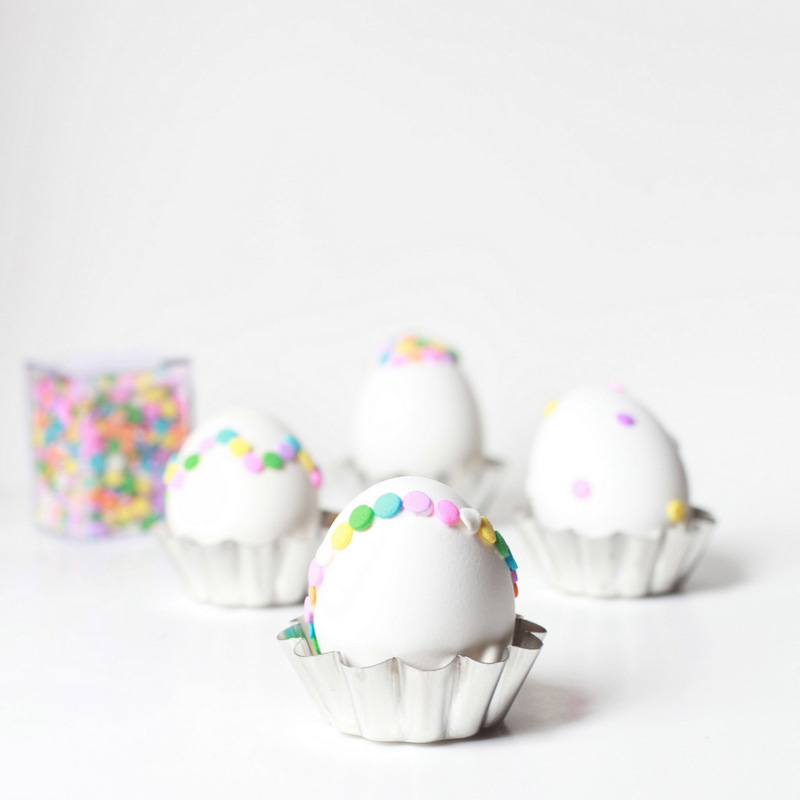 Repeat steps above for all of the eggs you create.
. Place completed eggs in the fridge and allow them 1 hour to dry before using them for decorations. They store best when laying flat in the fridge on top of a paper towel. 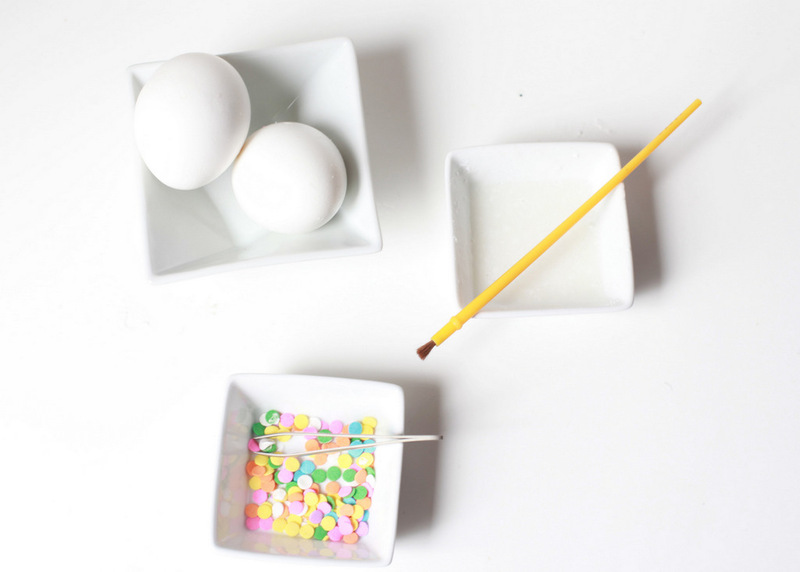 Such a sweet little party makeover for your Easter eggs and also a fun craft for little ones! I’ll have more Easter themed posts coming up soon and also a fun little DIY from last weekend’s surprise bachelorette party, that me and a few friends threw for one of my closest girlfriend’s who’s in town from New York! Hope April has been treating you all wonderfully so far! 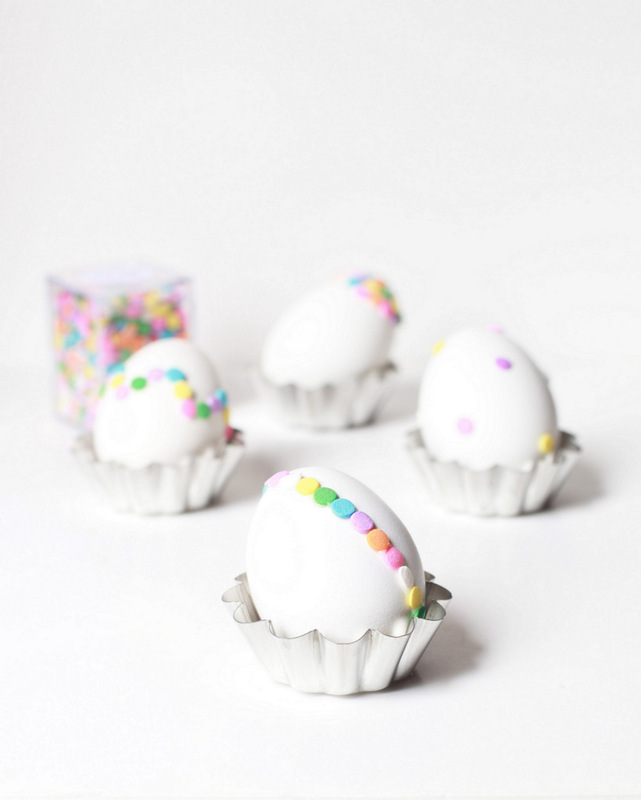 This specific DIY for Confetti Easter Eggs was seen first on Posh Little Designs. All Rights Reserved. 2011-2014. 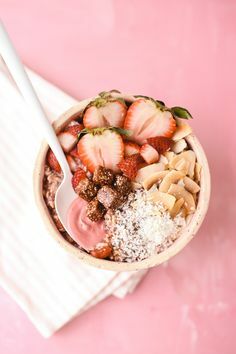 Soooo cute and such a simple idea!! Yes love it!!! I have to get back into crafting!!! I know! I was feeling the same…wish my schedule allowed for more of it! It’s so therapeutic! Right?! 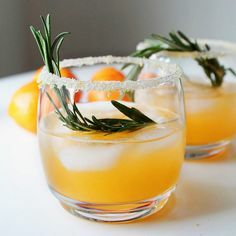 We need more time in the day! !